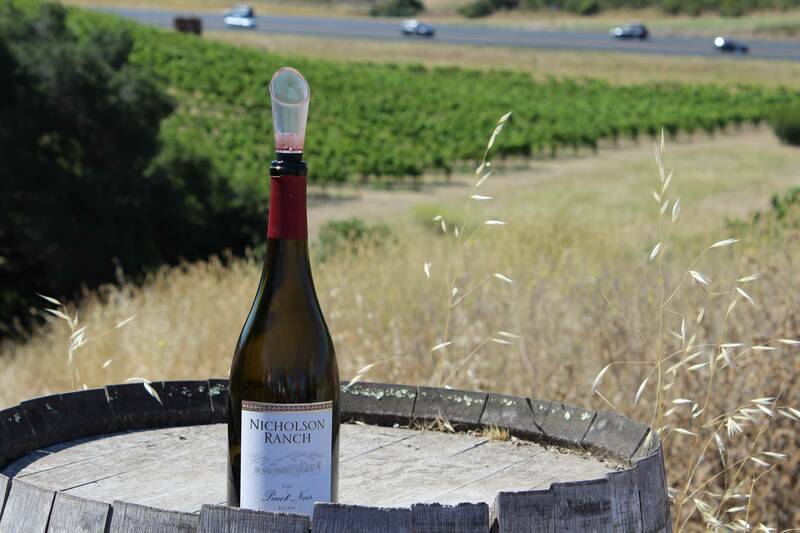 The superb Pinot Noir of Nicholson Ranch Winery. Let’s say you’re vacationing in California. A trip to the vineyards of Napa and Sonoma is basically a foregone conclusion, so the only real question is, “Where do I go to drink some damn good wine?” Let me help you out with one solid tip: Go to Nicholson Ranch Winery, and drink as much of their wine as legal and medically advisable. 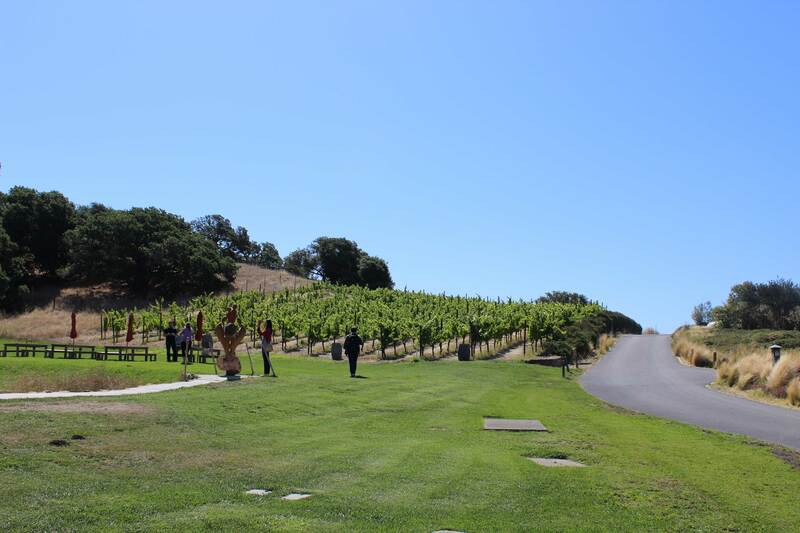 If I told you I found Nicholson Ranch Winery through some underground wine network, or a juicy hint from a trained sommelier, or perhaps I’d tried one of their wines at a high-profile tasting, it’s possible you might believe me. But alas, I won’t even try to deceive you — truth is, I picked a wine tour at random and it happened to be our first stop. 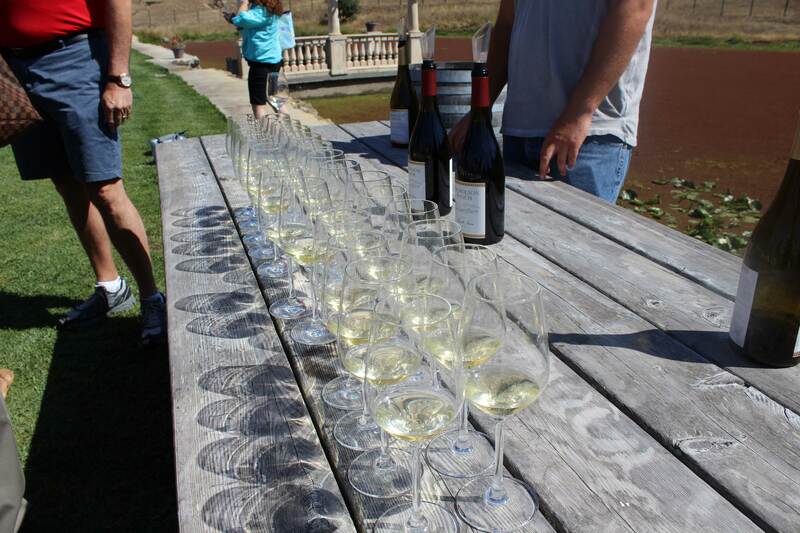 When we arrived at the verdant, hilly estate of Nicholson Ranch, a table was already laid out with glasses ready to recieve their tasting splash. The first wine we tried was a Chardonnay, and, it being a fairly affordable tour, I wasn’t exactly expecting ambrosia. But the the Chardonnay was superb — crisp, subtle with lots of typical Chard body, but none of the oaky flabbiness of so many other Californian expressions. In fact, this was a lean, mean Chardonnay more evocative of a crisp Chablis. The next wine we tried was their 2010 Pinot Noir — and I was blown away. I love Pinot as much as the next guy who started drinking Pinot after he saw Sideways, but I can say without a shadow of a doubt that Nicholson Ranch Winery produced one of the best Pinot Noirs I’ve ever tried. The nose was full of funky barnyard, but in the mouth it chilled right out into a bunch of juicy red fruit. The texture was incredible, and the soft finish lingered pleasantly. I sipped it largely in a state of shock, as I was kind of expecting to be drinking White Zinfandels all day. Best part? I went back for seconds (ok and thirds) and the good folks at Nicholson Ranch were happy to oblige. We tasted a fine Syrah and another excellent Pinot Noir during the tasting, but that first Pinot stands out as one of the most enjoyable wines I’ve ever had. There’s a kicker though — you can’t buy Nicholson Ranch Wines in stores anywhere, and they don’t ship to Canada. It’s going to be damn difficult to get your hands on a bottle to confirm that I’m not full of it. That said, if your in California and you’re looking to tour Sonoma, the Nichlson Ranch is one winery you shouldn’t skip. Make sure to ask for a top-up of that Pinot — it’s definitely one worth sipping slow.